Watch the animation, Character, below, and then read on for more information about Nigel and the inspiration behind this work. Nigel is based in Ontario, Canada, and is currently studying biomedical sciences at university. He animates on the side and hopes to eventually be animating and making videos for a living. Although he's only been animating for about 4 months, Nigel says he's always loved art and drawing since he was a child, and thought he would enjoy animating too. To create this animation Nigel used Adobe Animate CC combined with a Wacom CTH-460 Bamboo drawing tablet. ...it’s a very creative concept that I haven’t really seen done before consistently. I enjoy the idea of telling stories through video and the idea of being able to capture someones emotions just through watching a video online. I think it is more powerful than it sounds because videos have the ability to inspire people into doing greater things, or to bring a smile to someone who may not be having a good day. The way I like to portray my videos is simply through animation and music because those are two art forms I am very inspired by and I think putting them together make a great combination. I asked Nigel what was the inspiration behind the animation? In general, I make multiple animations accompanied with music in a story-telling way, and I was inspired when I watched one of the Cineplex short films at the movie theatre. At the theatre, they always play a short, CGI animated, film accompanied with music. It always gets people emotional before the real movie starts. The fact that people could interpret what was going on in the short film without any dialogue I thought was really cool. Also the addition of music helped to convey the right emotions forward. There's one Cineplex film I always get emotional watching called Lily and the Snowman. It’s around 2 minutes but you really get sucked into the video when watching it. What were the main challenges you faced in creating the animation? Whenever I make animations, I always try to push myself to try something new, so I can keep learning. The biggest challenge in creating this animation was animating the dragon, because it was a lot of detail, and I didn’t know how to start. I began animating the motion of the dragon just with lines so that I could learn how the dragon moves, then after, I would start drawing a rough sketch of what I wanted the dragon to look like. 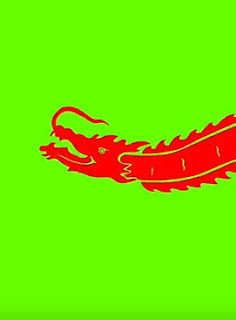 Just for the dragon segment, it took me 3 hours to animate every frame, but overall I think I was quite pleased with how it turned out. Is there anything about the animation you are particularly proud of in how it turned out and why? I am actually proud of how the whole video turned out because I was able to animate exactly the ideas I had in my mind, and that is the beauty of animation. I was pleased with how the animation fit very nicely with the track, and how I was able to change from calming situations to dynamic movements. I was also proud of the spinning globe animation because I really wanted to animate the spinning earth the way I envisioned it in my mind. I didn’t know how to go about it in the beginning. However, after tweak after tweak, I think it turned out great! Would you like to have your animation featured in my blog? Contact me at etourist@arttimeproductions.com with a link to one animation that you would like to showcase and I'll get back to you for additional information about your work. Featured animators are chosen at my discretion and no guarantees are made that your work will be featured. Animations should be suitable for a general viewing audience. Wow! this is some thing really appreciable i really like your this video and Animation this is really great it simple but so smartly and beautifully done.